Shane's Sponsors Union Grove High School and Woodland High School Athletics for the 4th Annual Shane's Rib Shack BBQ Bowl!! The 4th Annual Shane's Rib Shack BBQ Bowl is tonight!!! We are so excited to be the main sponsor for The Shane’s Rib Shack BBQ Bowl and are proud to be supporting Union Grove High School and Woodland High School athletics. The football game will be held at Woodland High School tonight starting at 7:30 PM. Please come out and support Union Grove High School and Woodland High School as they compete and see who will take the Shane’s Rib Shack trophy home this year! 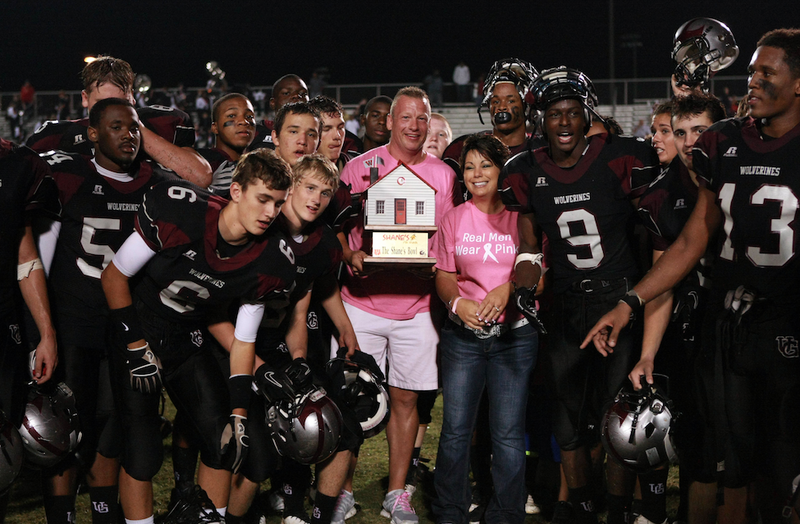 Will Union Grove take the trophy again, or will Woodland take it home this year? We will have a Shane’s tent set up at the game with a prize wheel and hundreds of dollars in giveaways! We will also have a raffle drawing and a t-shirt throw at halftime! You do not want to miss it! Thank you, Union Grove and Woodland, for letting Shane’s serve as a sponsor for this event!